1078. Tibial spine #: Who gets them? What do they represent? Best radiographic view? Rx? // What is the fabella? 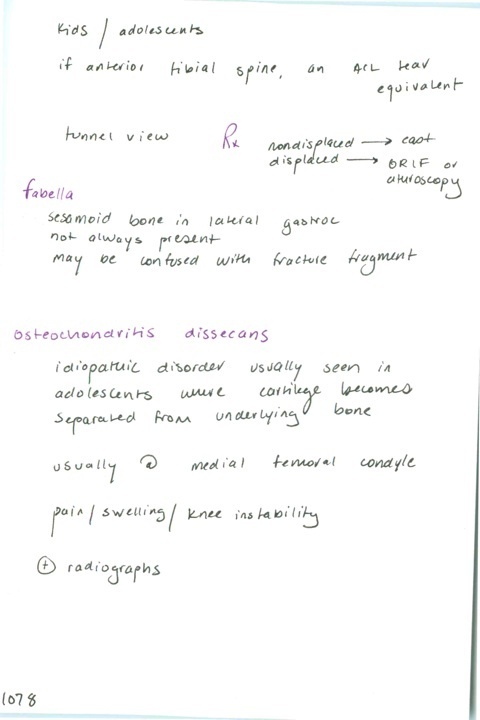 // What is osteochondritis dissecans? Location? S/sx? Previous PostPrevious 1077. Most effective intra-articular knee analgesia // Management of distal femur # / Tibial plateau fracture: mechanism, associated injuries, xray finding // What is a Segond fracture?